JOIN US! DPS showcases new programs at first-ever literacy-themed Open Doors Day Saturday, August 23 at all elementary and middle schools with special guest appearances by costumed characters, craft-making and more! 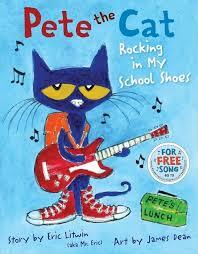 DETROIT – Pete the Cat, Madeline and the Bad Hat and the Big Bad Wolf will all make guest appearances at schools throughout Detroit Public Schools on Saturday, August 23 during the district’s first-ever literacy-themed Open Doors Day. All elementary and middle schools will be open across the district from 10 a.m. to 1 p.m. Saturday to showcase their offerings and new programs, like the gifted and talented program at Mark Twain School for Scholars. All schools have developed their own creative itineraries to engage families! Among the highlights will be DPS’ foreign language immersion courses for grades PreK-8, performing arts programs and free full-day high quality Pre-Kindergarten classes. New and current parents will be able to take tours, meet staff, and learn about all the great offerings in DPS, including arts and music, K-8 sports leagues and scholarship opportunities. Schools also will give away thousands of FREE books, sackpacks and school supplies donated by Office Depot, arts and crafts kits by Arts and Scraps, and other fun give-aways (first-come, first-served). Immunizations will take place at Marcus Garvey Academy, 2301 Van Dyke. Keeping with the literacy theme, the Parent Resource Centers at Detroit International Academy, Ludington Magnet Middle School, Marcus Garvey Academy, Priest Elementary-Middle School, and Bennett Elementary School will host BINGO for Books from 10 a.m. – 1 p.m. Parent Ambassador Trainings will also be held from 11:00 a.m. – 12:30 p.m.
Additionally, Skechers is partnering with Meijer to donate more than 25,000 pairs of BOBs shoes for K-6 students. A total of 1,500 students from 15 pre-selected schools will attend a Sketchers-Meijer shoe distribution event at the Detroit Zoo on Tuesday, August 26. The remaining 23,500 pairs of shoes will be delivered to the DPS Warehouse for distribution to students on the first day of school. Students (K-6) participating in this event will receive a FREE pair of Sketchers BOBs and a day at the Zoo including lunch, compliments of Sketchers and Meijers. A total of 100 vouchers will be distributed at the Open House events as an incentive at the 15 pre-selected school on a first-come, first-served basis. Parents and students who receive vouchers to attend the event will then return to the school on Tuesday, Aug. 26 to ride the bus to the Detroit Zoo. Transportation will also be provided to return families to the school. For more details, call 313-240-4DPS. This entry was posted in Info News Center, News and Press Releases and tagged 297, 473, Featured.